As previously discussed, Venus Patrol and MOCAtv's "alternative E3 event" HORIZON was pretty interesting both conceptually and in how it was executed. But what about the games?! That's why we're even here, right!? A few of the larger announcements to come out of the event have already been covered here at Dtoid, but what about those smaller, beautiful indie games HORIZON promised? 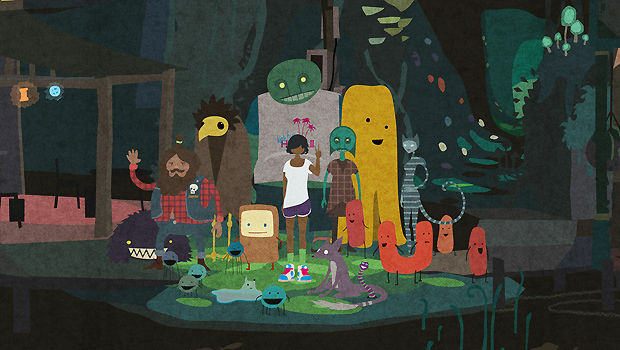 You may have heard of Broken Age already. It's the project that Double Fine recently Kickstarted with the help of "over 90,000 of their closest friends." The point-and-click adventure game will follow the parallel lives of a boy and a girl; the girl has been chosen by her village as a sacrifice to a terrible monster, and the boy is trying to escape the overbearing grasp of a motherly computer. Double Fine's presentation at HORIZON focused on their mind-blowing Kickstarter experience and how they've been able to directly connect with the fans that will be playing the game and even how they have let them in to the decision-making process of the game. 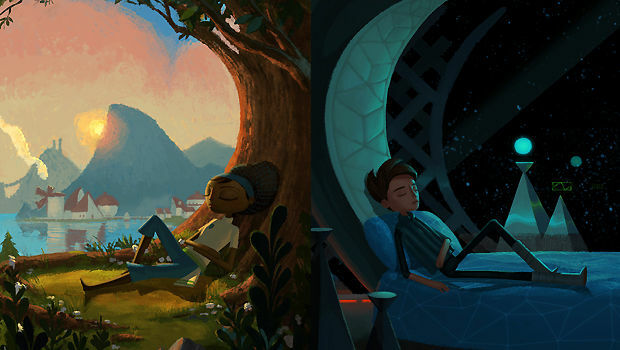 I could spend hours talking about the weird and wonderful world of Kickstarter, but nonetheless it will be interesting to see how the fans feel after actually playing Broken Age when it releases next year. First off, Below looks gorgeous. 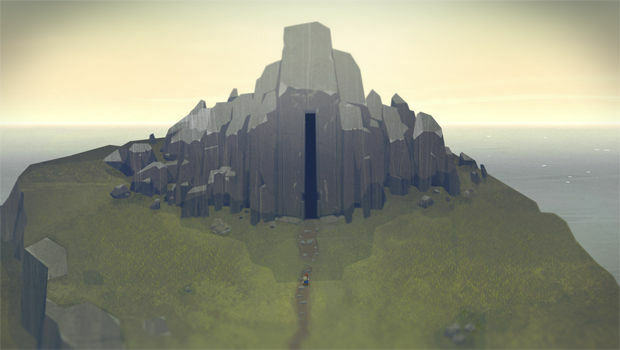 Coming from CAPY, part of the group that created the much-lauded Sword & Sworcery, Below follows a rather non-descript main character traversing through epic landscapes, further and further into a mysterious cave. At HORIZON, Nathan Vella and Kris Piotrowski of Capybara explained that the game will be one of those "no text, no dialogue, no hints and no hand-holding" allowing the player to discover everything in the game on their own initiative. Below also has an awesome trailer featuring the music of Jim Guthrie, who will also score the game. 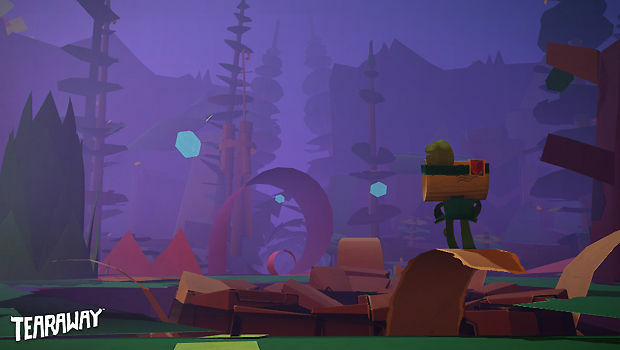 Tearaway is Media Molecule's upcoming game in which players will guide a little character through a tactile, papercraft world, which the player holds in their "god-like hands." At HORIZON, Rex Crowle and Siobhan Reddy of Media Molecule demonstrated some of the game's big and small ideas; from the way the player can use the PS Vita's touch sensors to practically physically interact with the game's world, to the little details like the "squashiness"of the ground under the game's character's feet. Tearaway seems to be heavily investing in the odd notion of "virtual tactility" and it's probably an investment that will pay off. Sportsfriends aims to be straightforward in intent and content: it wants to be a multiplayer, spectator-friendly game for groups and parties. No big hooks, no intricate story-lines. And it absolutely delivers that. 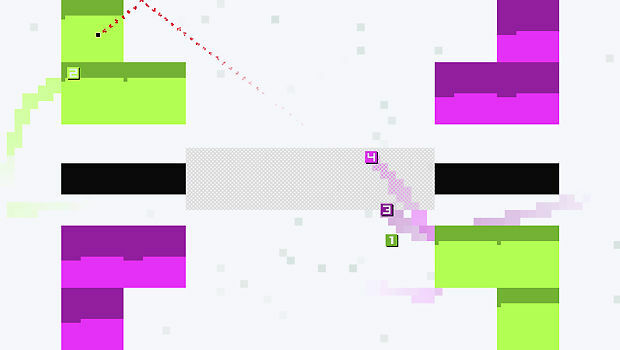 Featuring a collection of smallish, highly-competitive multiplayer games; Hokra, Super Pole Riders, BaraBariBall, and Johann Sebastian Joust, Sportsfriends is all about non-committal, easygoing fun. I had a chance to play Super Pole Riders (pictured) at HORIZON, and while it was totally fun, I found it oddly challenging. It's definitely the kind of game that you can get really good at if you play it enough, though. Mutazione sounds like it has the potential to be one of those breakout oddball gems. Developed by Die Gute Fabrik, Mutazione is about a young girl who mysteriously wakes up in a town full of mutants and monsters. The game will have almost Animal Crossing-esque features like real-time changes throughout the day and the town's different characters will be doing different things throughout dates and times. It also has an interesting "gardening-mechanic" which will allow players to plant and grow different plants in their garden in their character's home that directly influence the ambient music in the game. Die Gute Fabrik's Doug Wilson described the gardening mechanic as allowing the players to "grown their own Brian Eno's Music for Airports" in a sense. Mutazione does not have a release date at this time, so hopefully we'll hear more about it soon! 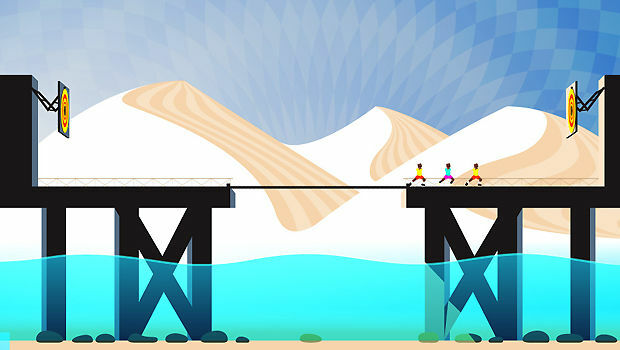 In Hohokum, players take control of a colorful, snake-ish, kite-like being and fly/swim through various environments. Interacting with the environment is a key part of Hohokum, whether it's carrying characters from one part of the world to another, or running into objects to create new sounds. 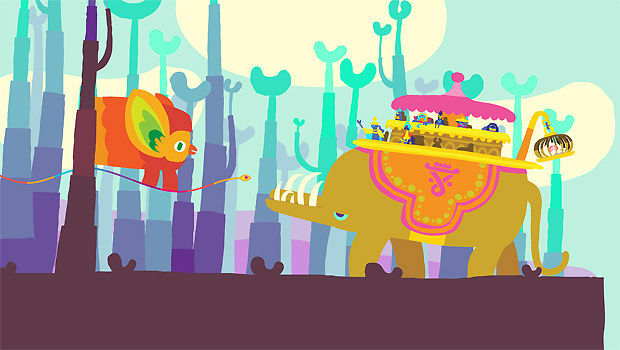 Hohokum also has a beautiful trailer, with a sweet soundtrack by musician Tycho, who will also score the game. Hohokum was playable at HORIZON, but I don't think I got to experience it fully in the hustle and bustle of the mixer. It's probably a game best experienced in a meditative state, though it was lovely to look at regardless! 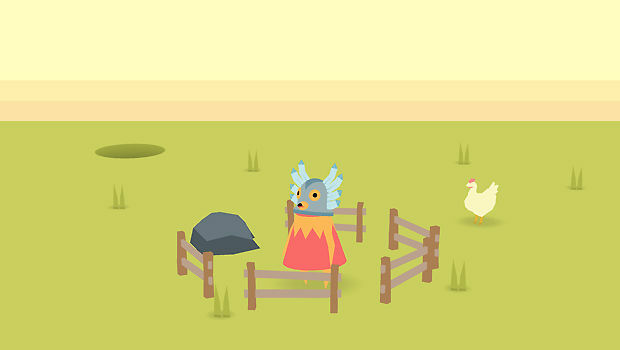 Kachina is an engagingly whimsical game in which the player controls a hole in the ground that they can use to swallow up objects and characters in each level to solve puzzles or solve jokes as they make their way through the charming landscapes. Taking place in the American Southwest, Kachina is also set to explore modern relationships between Americans and Native Americans through motifs of erasure and discovery, which personally will fascinate me to no end. Funomena and Katamari Damacy creator Keita Takahashi announced at HORIZON that they're partnering to work on a new game! What's it about? Well, it's still early in development, but Takahashi says that the game's inspiration came from playing with his two-year old son and what it would be like if his son's block toys came to life. He also added that "Katamari was about King and Prince. 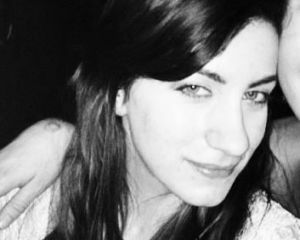 Noby was about Girl and Boy. 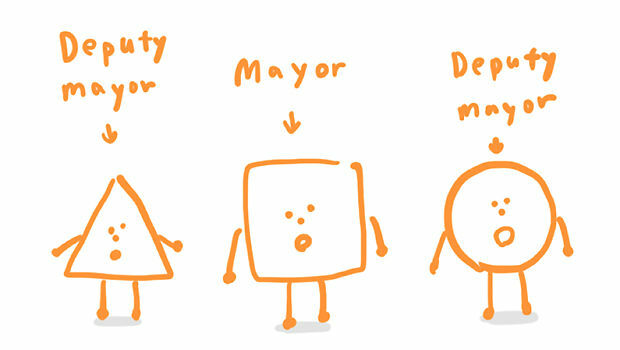 This new game is about Mayor and Deputies." I'm sure we will be hearing more about Funomena and Takahashi's new game soon! Perhaps making the biggest splash at HORIZON was a 50-second-long trailer for Fez II. 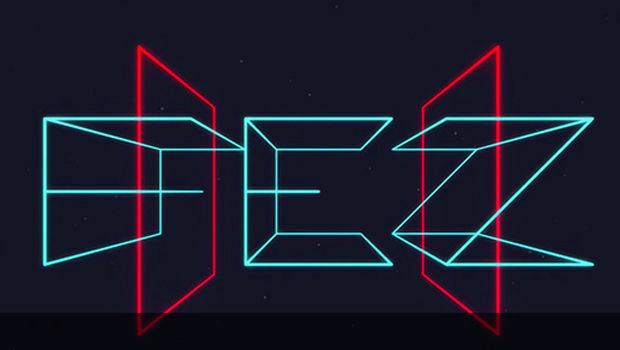 Essentially the only information we have about Fez II is that it's a collaboration between Polytron and Disasterpeace, but that's enough to get people talking. 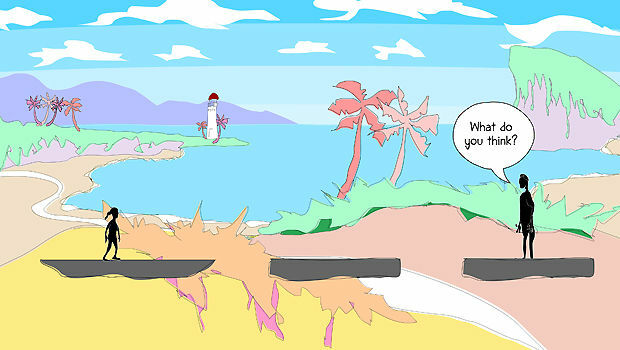 (A Game For) Two is a really fun cooperative title in which two players each control a character that has crash landed on an island and they must work together to solve puzzles and get to the other side of the island where a rescue boat awaits. 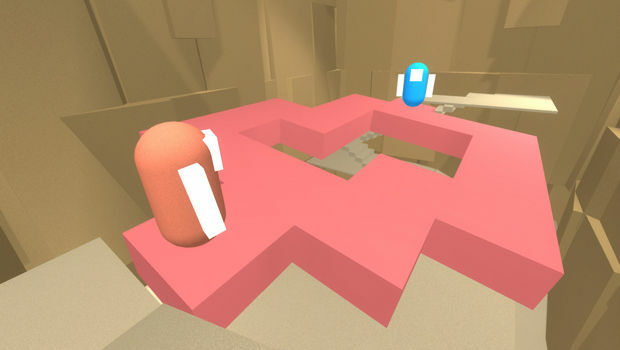 There is little text and no dialogue in the game, which forces the players to actually talk to each other an use their intuition as well as perhaps trial-by-error to complete the game's challenges. I really enjoyed playing a few levels of (A Game For) Two with friends at HORIZON. For me there was a real sense of excitement in figuring out the puzzles with other people, and a heightened sense of accomplishment once we manage to finish a level together. Hokra is described as a "digital sports game" and it's one of the titles included in the Sportsfriends compilation. Since this requires four players and has no online multiplayer aspects, it's purely meant for four physical people competing together on one television. This sort of interpersonal connection and shared experience is what Sportsfriends is all about, of course! Perhaps the most inconspicuous piece at HORIZON, the Laser Cabinet is an actual physical wooden cabinet that doesn't look at all special, until you realize that there are two inviting buttons on each side. 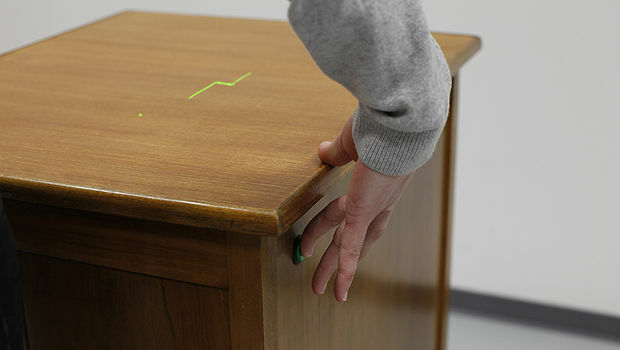 When the buttons are pushed, lasers illuminate a snake-style game on the cabinet's surface, once again inviting games into a sculptural area that they normally do not inhabit. Thematically, Rehearsals and Returns is about conversations with famous people that will never happen. As designer Peter Brinson explains, mechanically, the game is about collecting explicitly nice, mean, or wise things to say to people like Margaret Thatcher, Genghis Khan, Lebron James, Whitney Houston, and many more. Rehearsals and Returns was playable at HORIZON as well, and though it may be one of those games best experienced in a deep way by oneself and not at a party setting, it was really fun to hear people saying things like "Ooohh yeah, gotta collect Hate level 12!" The UCLA Game Lab Arcade Backpack is exactly what it sounds like: a backpack with playable arcade games on it. The Arcade Backpack was worn by some of its creators -- Tyler Stefanich and Peter Lu -- and played by a variety of people throughout HORIZON. 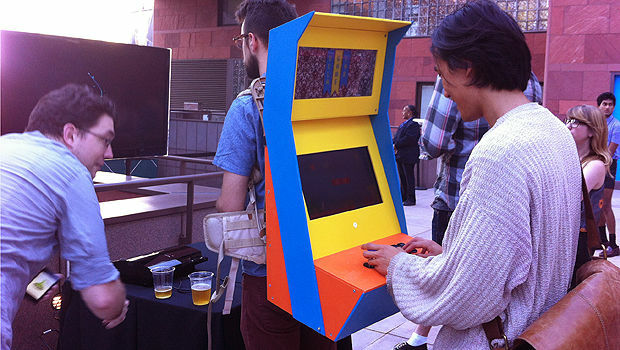 Designed to bring gaming to a public space, the Arcade Backpack becomes a bit of an interactive performance piece, though it's funny because while the player is interacting with the games, they are not necessarily interacting with the person wearing the backpack, so the wearer essentially becomes a stand-in for a traditional cabinet. The backpack is definitely a conversation starter though, and it featured several playable games which were cycled through throughout the event. All in all, HORIZON was an event about indie games, but for everyone. The talent that was showcased was strong, but paled in comparison to the excitement and joy everyone had about the expression and encouragement of delightful and fascinating ideas, and honestly I can't wait to play all of them!